A transforming digital economy requires transformational business practices. More and more organizations are embracing new ways of thinking to help streamline processes and optimize performance. DevOps is one such approach. Used by many enterprises to enhance productivity, speed up delivery, and provide greater value to customers, DevOps is rapidly becoming the standard of technology development. Rooted in agile methodology, DevOps changes the workflow of traditional software development to accelerate and streamline software delivery. DevOps is a response to a universal shift in the way we build systems and applications. While software and application delivery was once characterized by isolated, large-scale projects, today software and applications must continuously evolve in order to quickly meet user demands. DevOps makes this possible. DevOps best practices unify Development and Operations teams to facilitate collaboration, continuous integration and delivery, and automation. The term DevOps itself represents the fusion of the traditionally separate development and operations teams. Collaboration is a key component of DevOps best practices. By unifying the software development teams operations staff and removing the proverbial wall between developers and business users, DevOps aligns product feature enhancements more closely with the actual operational requirements. Feedback is provided more quickly and changes can take place faster. Overall, collaboration and constant communication eliminates ineffective handoffs and redundant tasks. Here at 10Pearls, we rely on tools like Basecamp, Jira, and Slack to optimize productivity and collaboration. A central function of DevOps best practices is Continuous Integration. Continuous integration is the process of automating the building and testing of source code every time a developer checks in their code. This means that each time a developer makes a change, automated systems help them detect problems early. Using CI, development teams can minimize build time by executing parallel builds–processing small build packages across multiple machines/containers. By harnessing virtual and cloud-based systems, teams can free up local resources to speed up development cycles and shorten feedback loops. To ensure the success of this process, developers create standardized development environments that can carry out repeatable process with few to no errors. Continuous delivery increases release frequency and reliability with technologies that automate and streamline delivery. The ultimate goal of CD is to automate the full software or application delivery life cycle nearly to live production. This automation allows teams to be at-the-ready for deployment. (Continuous deployment, another DevOps buzzword, takes this process one step further and automatically deploys applications to production). 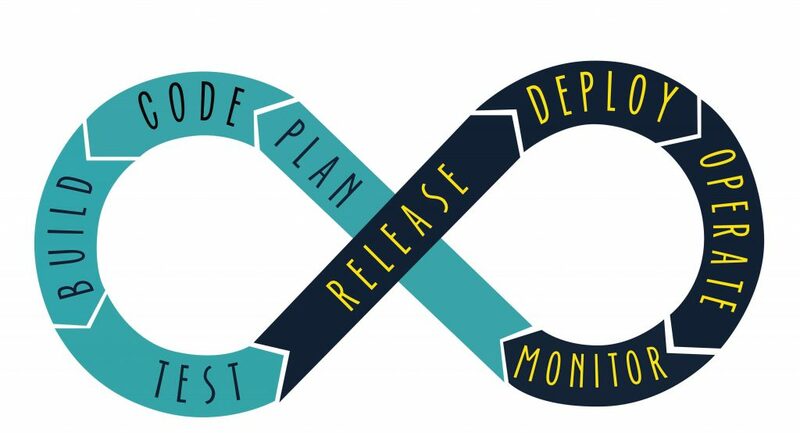 Continuous integration and delivery enables code changes, testing results, and deployments to be available to DevOps team members as soon they occur. Using cloud environments, CI and CD can be become helpful methods of increasing collaboration and communication across the team. Continuous integration, continuous delivery, and continuous deployment all rely on continuous testing. This means that changes in application are constantly being tested through automated and manual processes. Ongoing testing means that the team has a complete view of system health at all times. Reduce Time to Market: DevOps best practices speed application delivery and help businesses get products to market—fast. Enhance Customer Experiences: Rapid and continuous deployment is the hallmark of DevOps practices. Using DevOps, organizations can roll out frequent updates to incorporate customer feedback into the product in a quick and effective manner, enhancing the overall customer experience. Improve Quality Assurance: Continuous testing enables teams to catch errors early on and initiate quick fixes. Automation further reduces the likelihood of human error, enhancing reliability and overall product quality. Reduce/Lower Costs: When products are built using DevOps approaches, things are done right the first time around. Businesses can avoid costly mistakes that require long hours of troubleshooting, while also accelerating product release and deployment. 10Pearls has been leading the market in agile and DevOps practices since day one. DevOps is at the core of the digital solutions that we implement and a central aspect of the work that we do for our clients. To learn more about our DevOps solutions, visit our DevOps Consulting Services page or read about our expertise in Gartner’s Market Guide for Agile and DevOps services.